Lapland has six regions, with turnovers reaching billions of dollars and employing thousands of people. Check out the infographic below for more information. 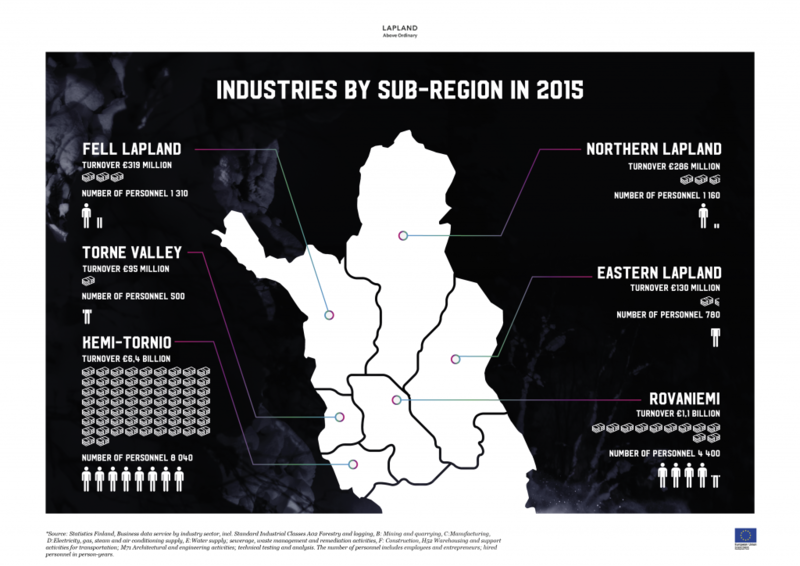 View a full-sized version Lapland Industries by Sub-regions of the infograph here.